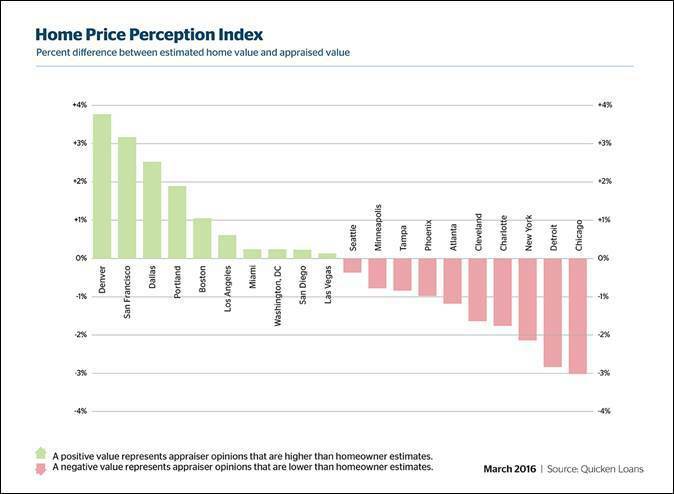 Quicken Loans released its Home Price Perception Index (HPPI) for February, finding that the range between expectations and actual appraisal values got larger for the first time in six months. On March 8, the retail mortgage lender announced average home appraisal values in February were 1.99 percent lower than homeowners’ expectations. Homeowners who were most likely overestimating the worth of their home are mostly in the West. In the month of February, nationwide home values increased 1.51 percent on a monthly basis and increased 3.89 percent annually. 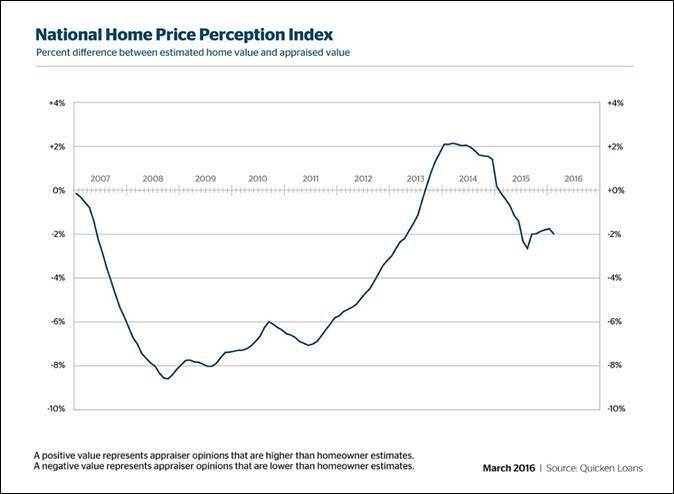 “While it is always disappointing for homeowners to learn they don’t have quite the home equity they expected, the national HPPI is still within a normal range,” said Quicken Loans chief economist Bob Walters. Los Vegas and Seattle homeowners were the closest to being accurate about the truth worth of their home. Seattle residents were slightly in the red and Las Vegas homeowners were getting a bit of a pleasant surprise. In Chicago, homeowners are experiencing negative home appraisals. 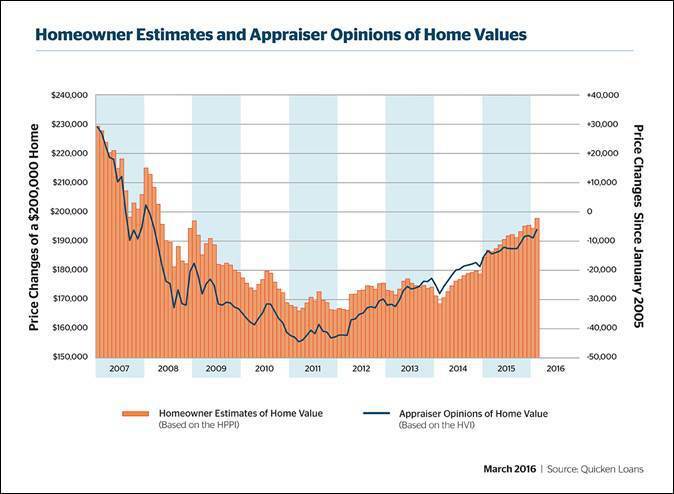 In February 2015, the appraiser value was 0.16 percent lower than the homeowner perception of their home’s value. Homeowners are finding themselves even more upset during appraisals. In January 2016 appraiser value was 3.10 percent lower than homeowner perception, and it dipped slightly in February 2016 to 2.99 percent. How much do Illinois homeowners pay in taxes? When is the best time to list a home in Chicago?